NASA is set to send a submarine to the seafloor near Hawaii on August 20 in an effort to find an environment analogous to water worlds like Jupiter's moon Europa and Saturn's moon Enceladus, a media report said today. Taking a closer look at the Earth's seafloor might help the space agency to send a submarine to the outer solar system to explore the waters of other worlds for life, popularmechanics.com reported. 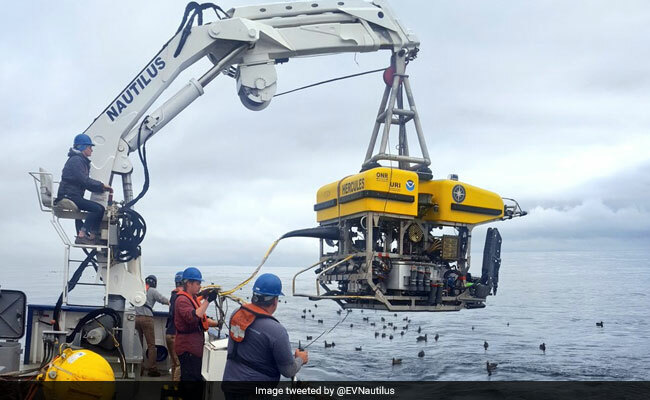 On August 20, NASA will send the submarine SUBSEA, short for Systematic Underwater Biogeochemical Science and Exploration Analog, to a volcanic vent Loihi -- a seamount off the coast of the Big Island of Hawaii. At Loihi, the submarine will take observations at sub-centimetre resolution of the topography, environment, and inorganic chemistry. Vents on the seafloor can reach hundreds of degrees as upwelling volcanic material meets the ocean water. Although this dark, oxygen-poor environment might seem like a harsh place for life, organisms from bacterial colonies to thermophilic worms to heat-tolerant crustaceans can thrive by these volcanic vents, something scientists once thought was impossible. In space, it's possible to find little volcanic vents on the ocean floor of Europa, which is larger than Pluto, or Enceladus, which is a small moon believed to have a porous core of hot rock. The rocky cores of these worlds heat up due to gravitational interactions with their much larger home planets, possibly producing volcanic activity on the ocean floor similar to Earth. Both moons are prime targets for future NASA missions and eventual ocean exploration. "Everything that we do has bearing on how we think and how we design these future missions," Darlene Lim, principal investigator of SUBSEA and scientist at NASA, was quoted as saying. "We're interested in developing models to determine what we might expect in Enceladus," Lim added. The actual biological work will take place mostly through sample retrieval. The mission will be divided between an on-site team monitoring from the ocean above and a collaboration of laboratories across the US. Currently, the submarine is not testing out new instruments but giving a dry rehearsal for future missions that will use primarily off-the-shelf technology, the report said.